Kick off those sandals and soak in the sun. Teach kids about the promises of God. 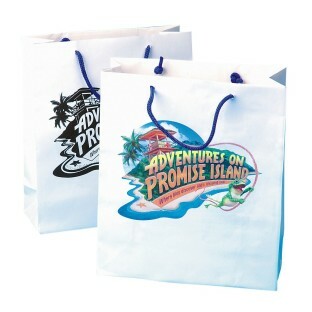 This bag is great place for VBS crafts. Kids can color it their way. Have kids color these white bags imprinted with the Promise Island logo and they can use them to take home all their VBS crafts. Approx. 7-1/2" x 8-3/4". Markers sold separately. Pack of 12.